Today, we are offering a kitchen tip on how to sift flour if you don’t own a sifter. Many dessert recipes call for sifted flour and not all kitchens have a sifter handy. So if your recipe calls for sifted flour, check out our Art of the Home tip below and happy baking! 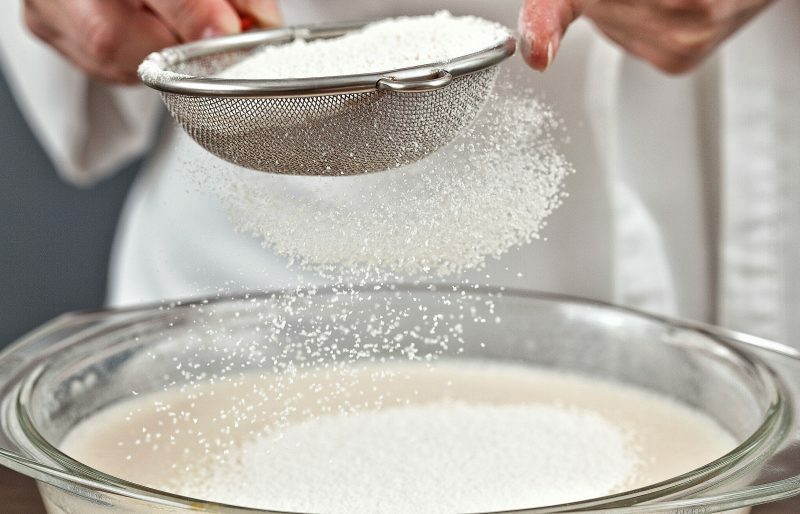 Art of the Home Tip — to sift flour, hold a fine mesh strainer on top of a mixing bowl. Pour flour inside the fine mesh strainer to about 1/2 full. Start shaking it gently from side to side and tap the mesh strainer with your hand on its side. And voilà! You now have sifted flour ready for a fluffy and delicious dessert (how about Art of the Home Gâteau Fondant au Chocolat/Chocolate Fondant Cake? )– enjoy!